DESIGN. DEVELOP. INNOVATE. We approach our design process from a holistic point of view; more than simply a mass production methodology. We understand its human nature to perform best when you feel comfortable and confident, so we use a precise product development process to ensure that each product performs to the very best it can. When it comes to innovation our team of highly skilled designers work hard to shape a range packed with the latest advancements in technology to accelerate performance. We employ the world’s most technically advanced materials throughout our range starting at our entry level wetsuits all the way unto our ultra-long distance suits. 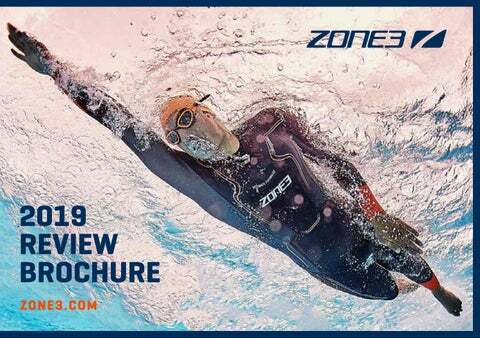 ABOUT ZONE3 All starting from a single desk on a University campus, Zone3 has grown organically to become Europe’s leading triathlon and swimwear brand. This has been achieved by a deeprooted passion for endurance sports and ensuring that every product offers market leading performance, innovation and functionality. Since day one we’ve held an athletecentric approach to garment creation, working alongside a full spectrum of athletes and highly skilled designers to ensure each product is made with laser precision and the highest performance materials available. This simple ethos has firmly cemented our sterling reputation among the global tri-community and has resulted in more industry design awards than any other brand, including the first ever and only 10/10 review from 220 Triathlon Magazine and many others including Best in Class, Top Value and Game Changer of the year. Our productfirst philosophy and commitment to excellence ensures a range suitable for athletes of all levels, helping maximise performance and enjoyment within the sport. Our mission is to be the most loved and chosen specialist sports brand in the world - creating product that embodies our passion and inspires athletes to achieve their personal goals. We tested these suits in ascending This soliD suit from Speedo is a price goodorder and however much the option for newer swimmers or those lessimpressed, the latest Advance Lomo confident in the water, with a super-buoyant from Zone3 blew it out of the water. and fairly stiff torso that helps you Visually feel and in terms of ingredients, it’s an instant step-up, with Zone3’s supported while swimming. Unfortunately, ‘Pro-Speed’ cuffs for easy removal because of this, it can feel a bit restrictive, and ‘Speedflo’ fabric that reduced even though the shoulders are stretchy drag in the water. Despite a low-ish (Speedo makes a thinner wetsuit for £20 cut neckline, there was minimal less, aimed at intermediate swimmers; for throughout and, watergo ingress this if you like a more free-feeling suit). The thanks to the neck guard, there was neck is low to avoid irritation and our notesters neck chafing. Unlike Lomo, the liked the short, shaped cut of the legs, which blend of 3mm and 4mm well-crafted made it a really easy suit to get outneoprene of in a on the torso – plus 4mm thelike legs – provided a decent hurry. This was also helped by whatonfelt amount a generous testerof buoyancy, while the 2mm 78%fit, though: our size small underarm found water whooshed in through the cuffs thickness ensured a range of arm movements. Quite how and occasionally down the back while they’ve done it for £159 we’re not swimming hard. sure, but the Advance punches above releases twice its price. Recognised as the best entry level wetsuit on the market. Winner of the 220 magazine BEST BUY award, with a 92% rating. 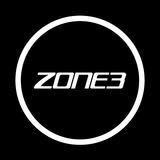 Zone3 always try to give the absolute best product for the price point and as the review stated “the Advance wouldn’t feel out of place against many of the mid-range products at twice the price”. ZONE 3 ASPIRE $475, Racezone3.com Best for: All-around performance If you’re looking to upgrade to a premium wetsuit but think spending more than $500 is outrageous, the Aspire is one of the best options around. This suit feels similar to Zone 3’s high-end Vanwhich costs $250 more, making‘speedy fast’ in £399.99 First includedquish, in this test £550 Meaning Aspire the best return on investment in 2016, aside from the a new neckHawaiian, this is the Wikiwiki’s in Zone 3’s collection. The 1.5mm oneline the Atana hasn’t changed – second year on test. Like the piece shoulder panel offers just the right but thanks to its unique design, Orca it increases boasts 0.5mm sleeves amount of flex and noticeably per stroke. The redgive panels on created to feel greatdistance on as well that excellent flexibility thestill wristisn’t and ankle cuffs coated as performing, there andare feel for in the water (although silicone for an easier exit in transition. anything else like it. The 3mm not one for very chilly races as Like the Vanquish, the Aspire makes supple neoprene and four-way you do feel the cold through swimming more enjoyable by minimizrestriction the shoulders stretch lining makeing this the throughthem). Strategically-placed while body to increase easiest to pull on and offlifting and the it lowerpanels on the front of the suit buoyancy. Cut tightly and featuring afitsupportThe draw: Speed-oriented ive core, the Aspire helpsacompress Cut tightly and featuring supportthecore, swimmer into a helps slightly smaller ive the Aspire compress package to reduce This sensathe swimmer into adrag. slightly smaller tion of resistance limited the package to reduceisdrag. Thistosensamidsection—it doesn’t pull ontothe tion of resistance is limited the arms. The suit’s firm design midsection—it doesn’t pull onhelps the put even into the water. arms. Themore suit’spower firm design helps Pureeven swimmers will love the natural put more power into the water. feel of this suit, will andlove those less Pure swimmers thewith natural refined technique willthose benefit from feel of this suit, and with less its ample buoyancy. Water doesn’t refined technique will benefit from seep into buoyancy. the suit, keeping it warm its ample Water doesn’t and as buoyant as keeping possibleitlong seep into the suit, warm into as a swim. and buoyant as possible long into a swim. The draw: Affordable find for a new sport While many swim/run suits feature above-the-knee shorts so as to avoid knee-pit chafing, Zone3 went for full-knee coverage – and it works. We appreciated the protection when scrambling in and out of the water and didn’t note any untenable hotspots. This bargain suit also has two interior and one exterior zippered pocket and removable arms – features usually reserved for higher-priced swim/ run suits – to help regulate temperature throughout the race. This suit fits pretty snug, so you’ll need your teammate’s he¬lp taking it off your shoulders and arms when you really need to let off steam. Natural feeling to swim in, excellent upper body buoyancy, no chafing, immense pockets and world’s first design features. The Evolution Swimrun suit is a true Swimrun suit; designed from the bottom up with all elements of the sport taken into consideration and a worthy investment for those drawn to the sport. As well as being the perfect Swimrun suit, it also looks pretty flash too. Both 2XU and Heart Sports offer suits with the aforementioned ‘rummage pouches’ to give them longcourse credentials, and we’d favour the latter due to the better cut, pocket design and padding. The lack of grip in the legs and arms of the Zoot disappointed us, and we had concerns over the longevity of Z3r0d and Huub’s suits. Our overall winner is Blueseventy, who have put themselves firmly back on the tri-suit map with the new TX2000. The cost-cutting shows in those cheap silicon bobble leg grippers but, this aside, it’s aero, offers decent padding and is thoroughly comfortable on the bike and run, as well as quick drying from the swim-to-bike. Club La Santa in Lanzarote for hosting us while we tested these tri-suits (and next month’s wetsuits) in their warm weather and formidable facilities. Head to www. clublasanta.co.uk for more info on the tri destination.